Inspired by the glamorous interiors of the Art Deco era, this luxury Italian lighting collection from Rugiano Interiors combines high-end materials with glass, metal, and fabric. 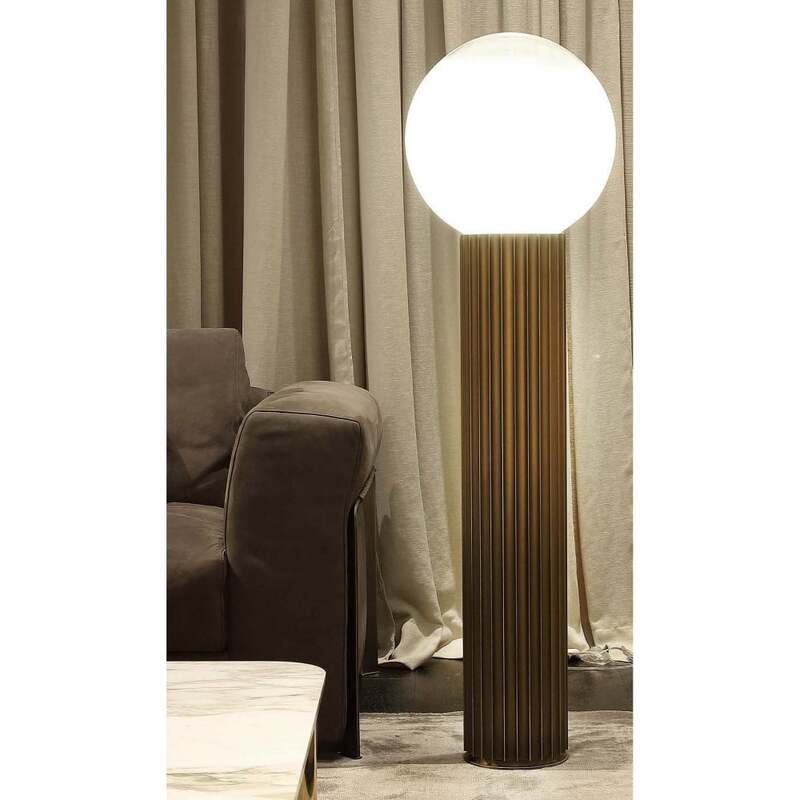 The Liberty Floor Lamp features a tall and elegant base crafted into a cylindrical form. Choose from a black chrome, bronze or polished gold finish to complement the furnishings and fittings in your scheme. An easy way to add a luxurious touch to your living room space, the Liberty Floor Lamp suits both modern and traditional interiors. Bring a warm ambience to a reading nook or hallway with the Liberty Floor Lamp by Rugiano Interiors. Pair with the matching Liberty Table Lamp for a cohesive lighting scheme. Available in two sizes.